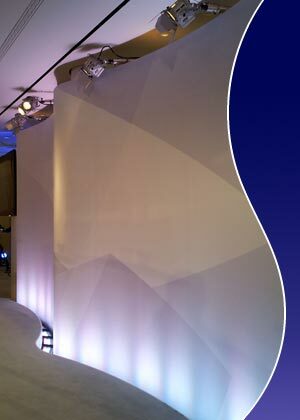 ColorBlast 12TR is an effective LED wall-floodlight and with a width of only 32 cm it is quite handy and versatile. Equipped with neutral-white and warm-white LEDs, the color temperature can be varied and adapted to your needs. In this way it is particularly suitable for even illumination of canvas, backdrops and advertising banners as well as emphasizing architectural details.